As we transition into a new season, consider mixing things up with a different approach to color. Muted hues and fall style go hand in hand, so setting yourself apart with a pop of something brighter can make a strong statement. 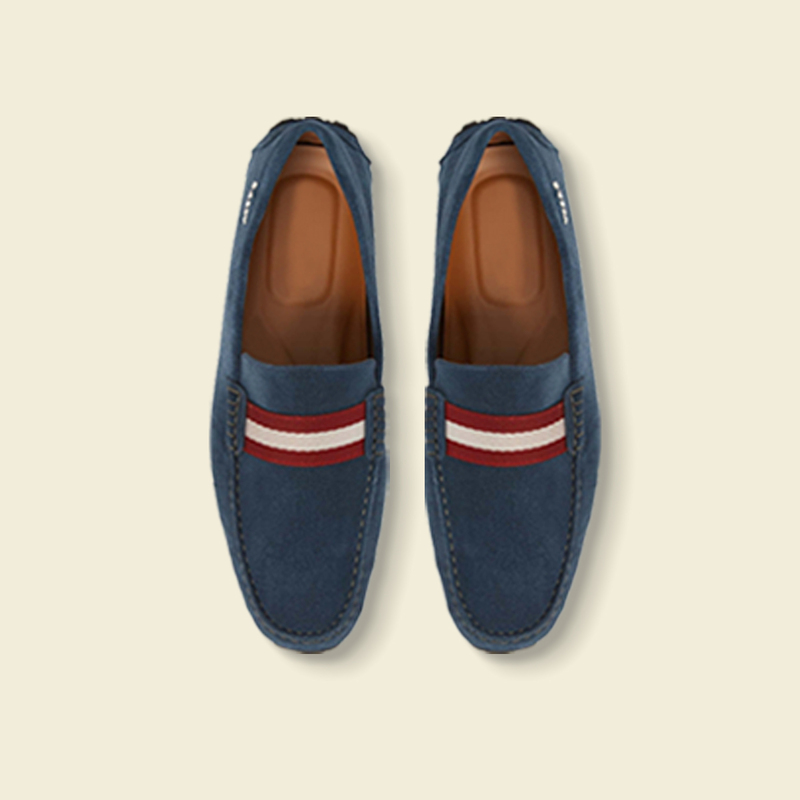 A little contrast in just the right place goes a long way: think collars, sleeves, pockets, and even accents on shoes. Colors like cyan, navy, and mauve really shine against neutral palettes. Ready to give it a try? Here are four easy ways to work a touch of color into your look. 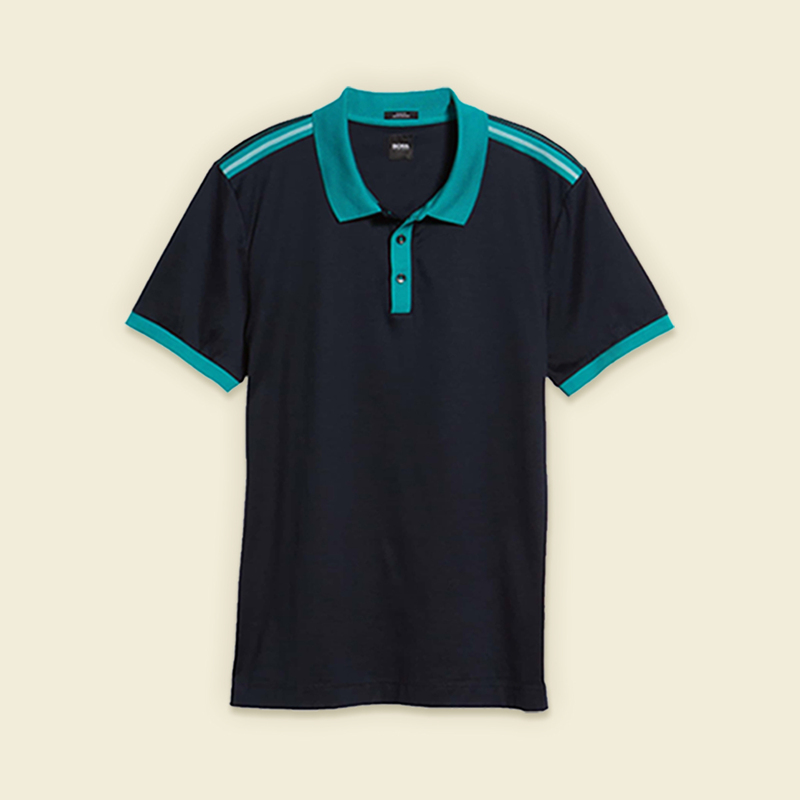 Of all the options here, shirts may be the easiest place to start. 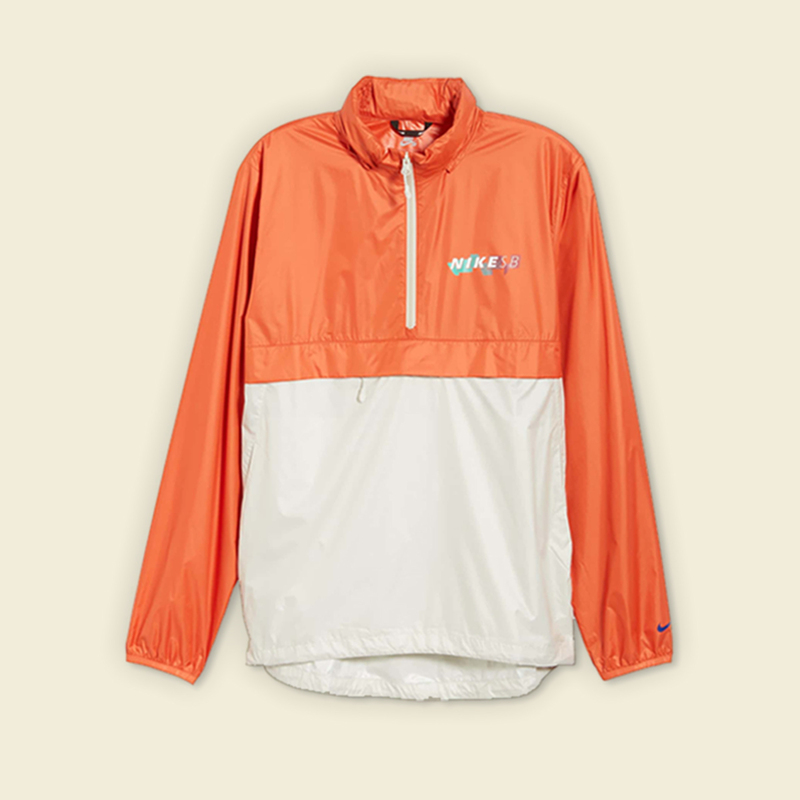 Try a long-sleeve tee (a staple silhouette for fall, by the way) with contrast-color sleeves and hood, or a preppy-cool polo with vibrant sleeves and collar trim. Remember: light hues set off easily against darker, muted tones. Jackets with a pop of color on the trim, pockets, or even hardware can be a nice alternative to all-black or neutral-hued outerwear. 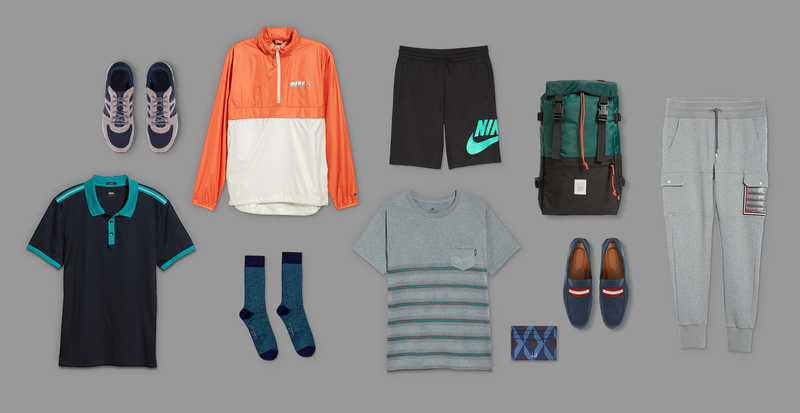 Pull a color-blocked anorak over a pair of khakis or olive pants. A jacket with complementing tones, like red and navy, is a versatile finishing touch that helps you stand out in a sea of black and grey. Casual bottoms like joggers, track pants, and sweats are a great place to experiment with color. A racing stripe can add contour to an outfit—and it looks great paired with crisp white kicks. 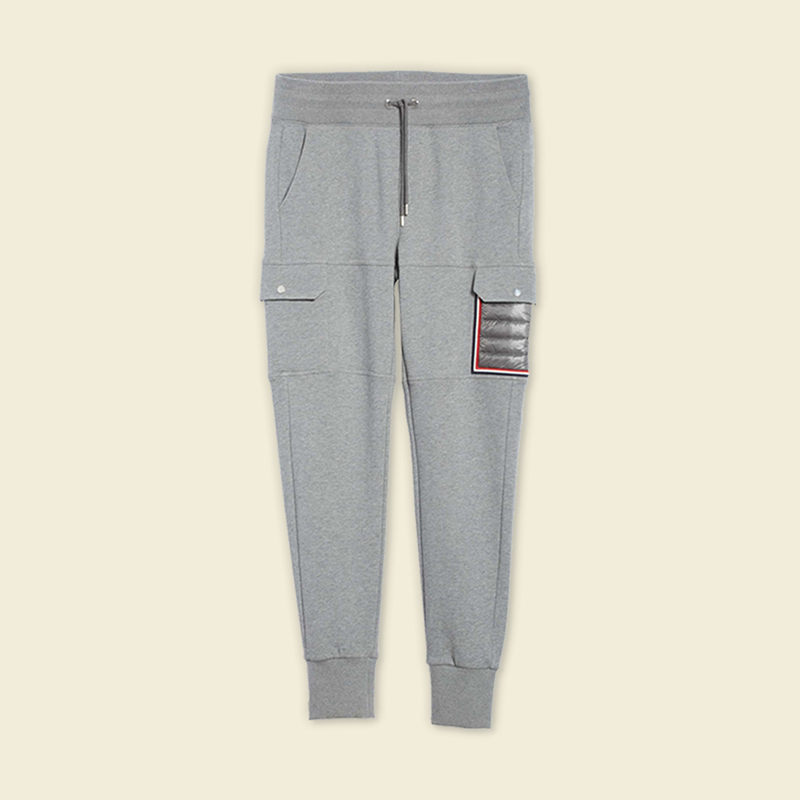 A stylized sweatpant with a hint of color on the pockets is a less direct, but still effective approach. For the widest range of options, look down. Shoes are hugely versatile when it comes to working in new hues. Try out a sporty sneaker with an unexpected touch of neon (hint: it looks great with grey palettes), an elevated driving shoe with a top stripe motif, or a retro surf sneaker with a colorful sole.